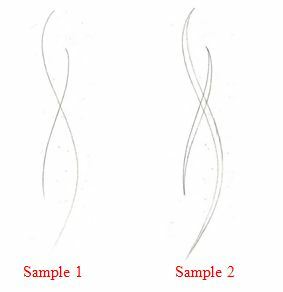 Star by drawing a couple of curvy lines like in sample 1. 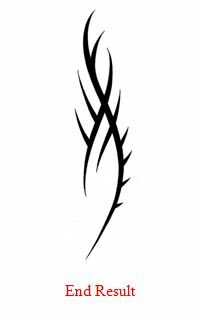 Then depending on how thick you want your tribal tattoos to be, double up the lines like in sample 2. 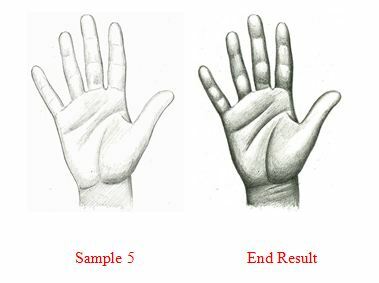 Start by drawing a circle and oblong shapes for the thumb and fingers like in sample 1 below. Once we have our basic guide down we can mark out where the fingers will go like in sample 2. 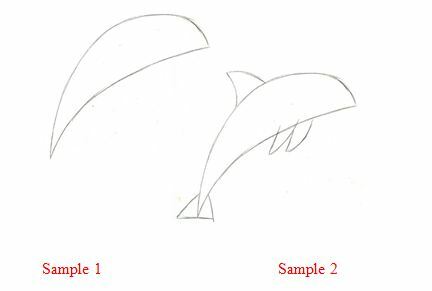 Start by drawing an tall thin oval like shape like in sample 1. This will be our guide and our flames will be worked on the inside of it. Sample 2 shows how the flames can be added. Just add a few squiggles like I’ve done here in sample 2 but make sure they start at the bottom and work upwards. 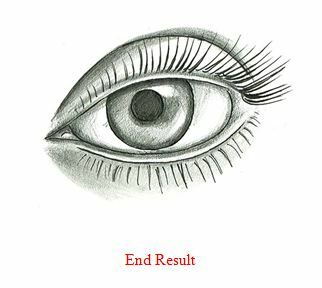 The basic shape of an eye is oval so start by drawing an oval shape like in sample 1. Then position where the iris and pupil will go like in sample 2. 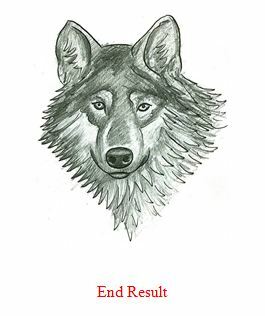 A wolfs face is kind of like a diamond shape. 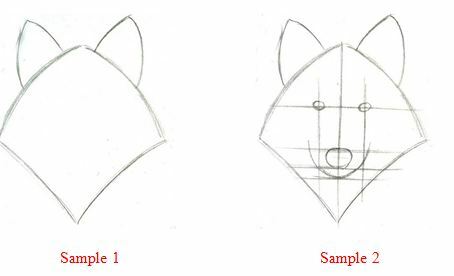 Sketch a similar shape to sample 1 and make sure to include the ears. Sample 2 shows how this guide is used to map out the face. For this guide I have chosen to use a symmetrical design, so start by drawing a vertical line and then work a design on one side of it. Start by drawing two ovals, the top one being the largest like in sample 1. 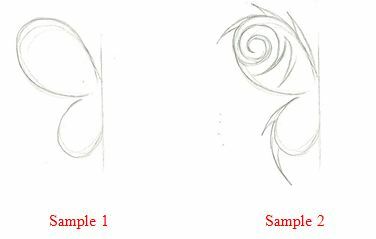 Once you have your basic butterfly shaped wings down you can now start to make up a design within and around it like in sample 2 below. 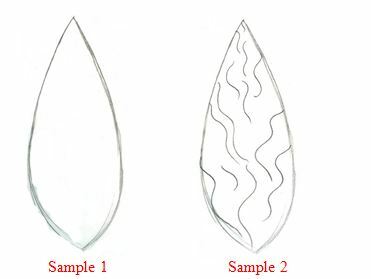 Start by sketching a large oval shape with a smaller oval shape in the upper middle like in sample 1 below. 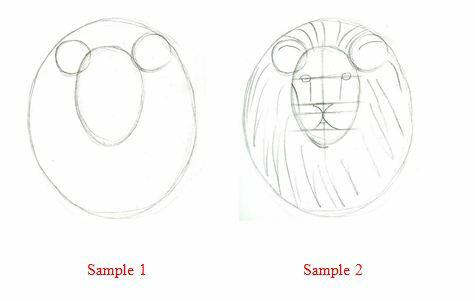 The large oval indicates the mane whereas the smaller oval is our guide for the lions face. The small circles are for the ears. Before we add detail we need to understand how a koi fish is made up. Sample 1 below shows a general guide to start you off with. Once you have this guide down your ready to start adding detail. 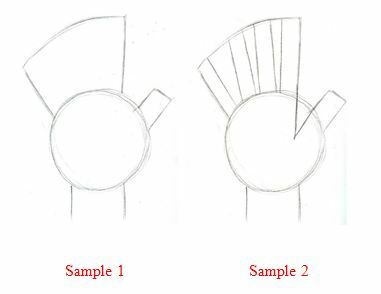 Start by sketching an arc/semi circle shape like in sample 1 below. 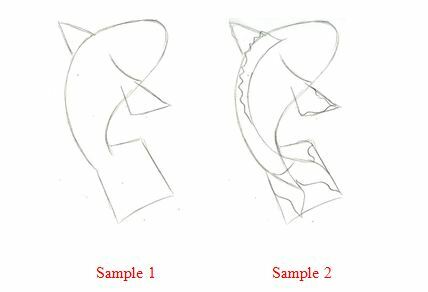 Then start to add triangular shapes for the fins and tail like in sample 2. Want to know how to write professional papers? CustomWritings.com writing guide will help you.